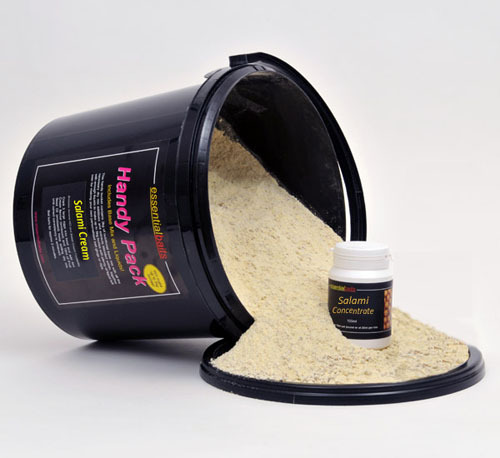 Handy Packs : Essential Baits, Quality with a BIG difference! 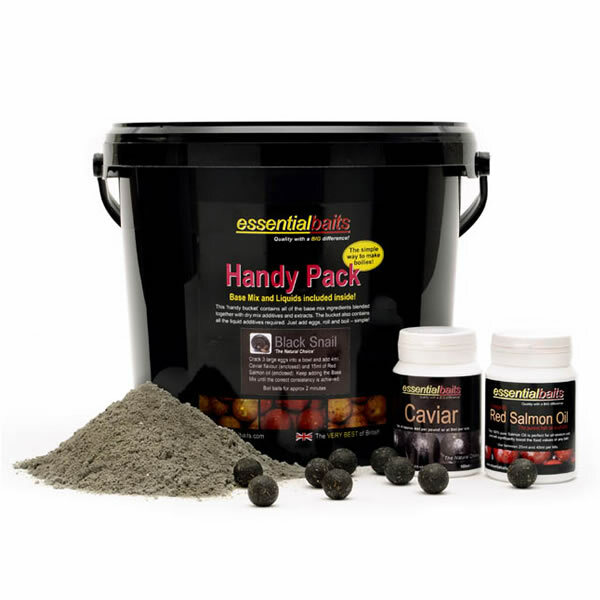 Our convenient Handy Packs have been one of our biggest selling products over the past few years and it’s hardly surprising when you consider the advantages they offer coupled with their pure simplicity and value for money. They are the perfect answer for those who prefer to make their own boilies and contain all the dry mix additives blended into the base mix at the exact levels with the liquid additives enclosed inside the bucket. Just add eggs! Please note... 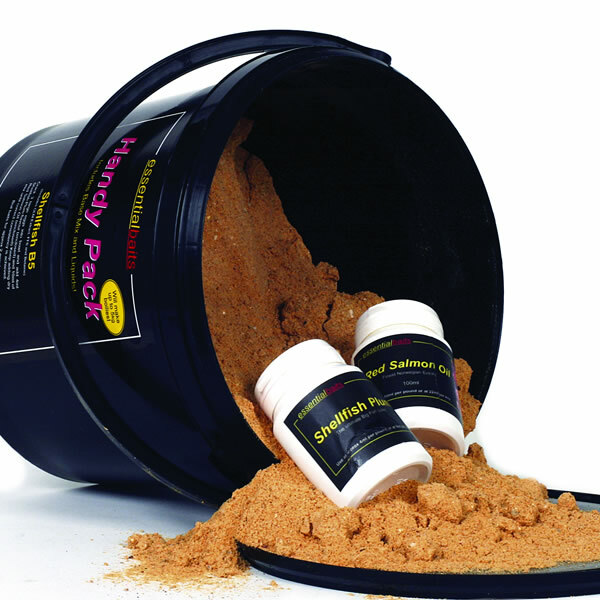 Handy Packs are also available with different attractor packages on request. The amount of anglers making their own boilies these days are becoming less and less. This is understandable considering time limitations, but for those wishing to venture out into making their own boilies, these Handy Packs definitely are the way forward because everything you need (apart from eggs!) is inside the bucket. 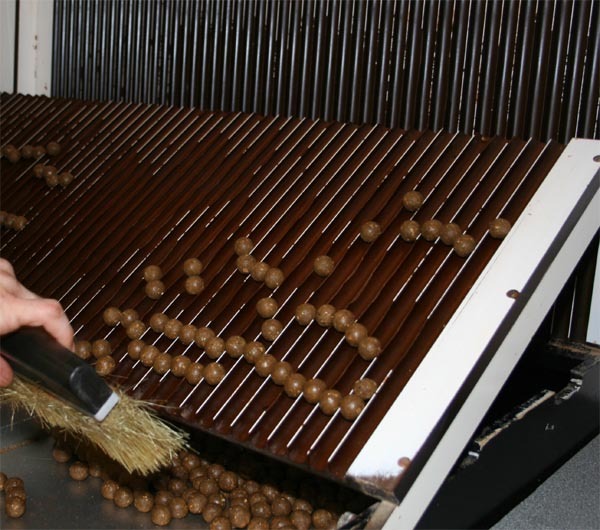 Making your own bait allows you to use your own 'bespoke' combination of attractors to suit your individual needs. You can also make different shapes and sizes, as well as having the option over soft, medium or hard baits, depending on boiling times, or if you wish to include additional hardeners. Further to this, many anglers find it extremely rewarding to catch fish on a bait they have made themselves. Over the years we have developed a dedicated range of complex liquids to match our range of Boilies and Pop-ups.